As landlords we have to do what is reasonable and non-discriminatory, yet still avoid bad tenants that result in income loss. We know that landlords can’t discriminate based on certain elements. What constitutes discrimination may be different in your area than in others, so it is crucial that you read up on the subject before you place your rental ad or interview prospective renters. Generally, race, religion, national origin, gender, marital status, having children, and sometimes age or being on government assistance are areas protected by discrimination laws, so exclusions or interview questions on these topics are problematic. Landlords should always accept more than one rental application for a rental and be able to produce other rental applications if required to do so. What is your criteria? Every landlord should have a checklist and treat every applicant the same. However if asked by an applicant, “What is your criteria?” I would just repeat, “You did not meet my criteria.” In my opinion, you do not have to get into specifics with an applicant. I wouldn’t. The applicant didn’t seem to take seriously the responsibilities in the lease agreement. The applicant was argumentative about some of the responsibilities in the lease agreement. The applicant did not appear well-groomed. I didn’t like the noisy vehicle that applicant drove or the manner in which he left — speeding away in a noisy vehicle. Was the rental application completed in its entirety? No? That might be on the list of criteria. The TVS Rental Application clearly states, “This application must be completed in its entirety.” A tenant who leaves blanks can’t/ doesn’t/ won’t follow instructions. Ask yourself, What am I looking for in a model tenant? Make a list, use it for every applicant. As a landlord you don’t have to rent to an individual if you don’t want to — AS LONG AS YOU ARE NOT DENYING RENT BASED ON DISCRIMINATION. Common sense, being reasonable, choosing tenants wisely, making notes on each rental application each help to alleviate a discrimination issue, and are all part of protecting your investment. The point is you have to become innovative in a smart way. In a way that doesn’t discriminate, but gives you an out with tenants that you don’t want to rent to. 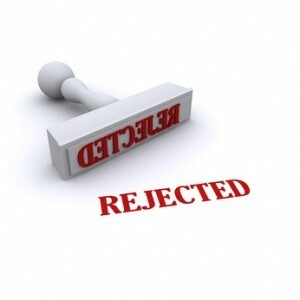 REMEMBER THIS: Make tons of notes on each application refusal. If during the interview/application process you conduct yourself in a reasonable manner, you will minimize your risk in avoiding any type of discrimination complaint against you. If anyone has any other comments, I’d love to hear them. This is, in my opinion, a common sense approach to choosing tenants wisely. Sometimes you have to be creative when rejecting an applicant without getting into trouble or being seen as discriminatory. Rejecting a tenant based solely on bad credit or a criminal record, in my opinion, is not a good idea because it leaves too much room for a dispute or argument. As a landlord, I look to reject an applicant based on non-disputable criteria, such as is noted above. Thank you for taking the time to write your helpful ideas. I rent several single family homes and apartments and I find your blog insightful. – Retained and forfeited if selected after I run credit, eviction, and criminal checks, but the applicant then refuses to rent. I tell applicants and of course follow through with this policy. – Potential tenants are much more likely to apply if they know they won’t lose an application fee if they are not selected. – Refused tenants are much less likely to be angry if their money is returned. – The fees from applications is trivial for me compared to rents. – The deposit makes it more likely that only serious potential renters will apply.